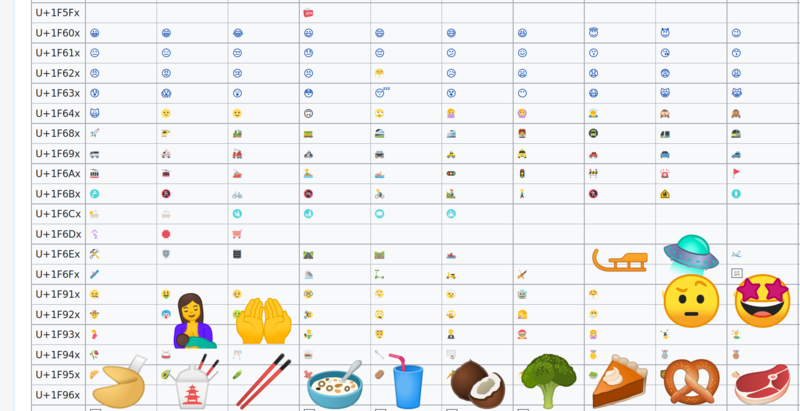 Missing emoji appear as "tofu"
Now the Noto emoji symbols do not appear, because the Twemoji TTF has equal emoji coverage. If Noto coverage improves and your Noto package gets updated, the problem will recur for any new emoji symbols. At that point you will have to wait for a new Twemoji/eosrei release and reapply the workaround. If your PureBrowser package gets updated, it may re-add EmojiOneMozilla.ttf, in which case you will have to delete it again. It may remove TwitterColorEmoji-SVGinOT.ttf, in which case you will have to re-add it.